Rixio Medina is the incoming president of ASSE, taking over leadership of the society as it adopts its new name, the American Society of Safety Professionals, during the Safety 2018 Conference & Expo in San Antonio. 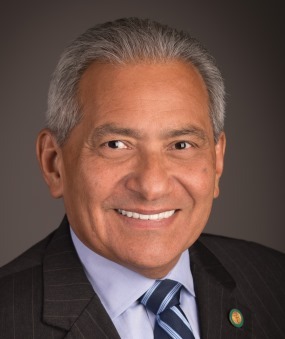 In the following email interview conducted prior to the conference, Medina answered questions about his priorities as president, the significance of the name change, and how the society is involving the next generation of safety professionals. 1. What are your priorities for your presidential year? It's important to continue to focus on our Board’s four strategic pillars, which are member communities, education, standards, and advocacy. I want to drive our Society to even greater success in each of these well-defined areas. In particular, I want to see us take significant steps forward on initiatives involving the global capability framework for occupational safety and health professionals, our research agenda, human capital issues through the Center for Safety and Health Sustainability, and bringing more women, veterans, and Hispanics into the safety profession. The more diverse our profession, the more successful we are in relating to employees and gaining their buy-in to safety programs. 2. You'll be the first president of the society with its new name, the American Society of Safety Professionals. What's the significance of this for you? It's quite an honor to be the first president of the American Society of Safety Professionals. As an immigrant safety professional with a proud Hispanic heritage, I'm humbled by this opportunity. Our name change is historic, given that we've been ASSE for more than 100 years. I think our members' decision to support this change shows the importance of adapting to your changing environment in order to grow and prosper. Organizations that become stagnant are less effective, which causes membership to decline. 3. Are you enthusiastic about the name change? Why is it important for the society's members? I couldn't be more excited about the shift from ASSE to ASSP. We are more clearly defining who we are as a society. We are not all engineers. Our members hold different qualifications and certifications, yet we collectively work to ensure a safer, stronger future for companies in every industry around the world. It's important for potential members to know that if you have workplace responsibilities that involve safety and health, ASSP is the membership organization that can best help you further your career so you can help create safe work environments that prevent injuries, illnesses, and fatalities. 4. What are the biggest challenges you see for today's new safety professionals? Many young and new safety professionals struggle because they try to master too many subjects. It is better to first develop a broad base of knowledge, then concentrate on a few topics of interest. They also should know where to go to get guidance on topics outside of their expertise. It's important for young and new safety professionals to remember that success in the safety field requires a commitment to continuous learning. Don't ever reach a point where you think you know everything there is to know. Like most fields, the safety profession is always evolving, and better methods to achieve our objectives will continue to emerge over time. 5. What advantages do newcomers to the profession have that weren't available when your career began (such as big data and predictive analytics, virtual reality training, better monitoring/detection instruments, etc.)? Where do I start? It's a completely different world than when I entered the safety field. Today's young professionals have an incredible amount of data at their fingertips, including case studies and benchmarking materials. There is now high-tech instrumentation equipment, better-designed personal protective gear for both men and women, and comprehensive management systems like ANSI/ASSE Z10 and ISO 45001. Safety training no longer has to be conducted on site, as we now have virtual reality training sessions, which lead to more training opportunities while better controlling expenses. Access to expert colleagues through personal networks has been made so easy with smartphones and Skype. The end result is occupational safety and health professionals entering the field with more skills and education than industry veterans could have ever imagined. 6. ASSE and the ASSE Foundation have encouraged veterans to consider safety careers after their service. Is enough new blood coming into the profession? And if not, what are the solutions ASSE is working on? Bringing new and diverse members into an organization is a constant challenge faced by membership organizations everywhere. New faces and new ideas are always welcome, and organizational improvements are necessary to ensure that organizations like ASSP remain relevant, be it for today's safety and health professionals or those in the future. Fortunately for the safety field, surveys report that job satisfaction is high, with 90 percent of respondents being "satisfied" or "very satisfied" with their jobs. That's a compelling selling point. But bringing more women, veterans, and Hispanics into the safety profession is needed, and that's one of our top goals. We've already formed several working groups, and we are conducting webinars and creating targeted web pages1 as part of these efforts. I look forward to making significant progress. People are what our profession is all about. 7. For years, there were discussions about merging ASSE and AIHA, combining their big annual conferences, etc. Will that ever happen? In recent years, ASSE and AIHA have worked closely together on many projects that are mutually beneficial to our respective memberships. One example is the Center for Safety and Health Sustainability in which ASSE and AIHA were founding members. Last year, ASSE and AIHA signed a comprehensive memorandum of understanding (MOU). The new MOU recognizes that both ASSE and AIHA see value in expanding our working relationship. How far that expanded relationship goes is yet to be seen. 8. The new ISO 45001 standard—why is it a big deal? What impact do you believe it will have on U.S. companies, and how will we be able to measure its impact? ISO 45001 Occupational Health and Safety Management Systems is the result of a five-year process that included input from more than 75 countries across six continents. It's the first global consensus model for managing safety and health risks, making it one of the most significant developments in workplace safety over the past 50 years. A widely accepted standard that can help build safety and health management systems anywhere enables our members and the broader occupational safety and health community to better protect workers everywhere. U.S. companies not only can adopt the standard themselves, but also push for its implementation in supply chains that circle the globe. The expected outcome over time is fewer work-related injuries, illnesses, and fatalities. Better risk management not only protects human capital, but also helps businesses achieve growth and sustainability objectives while improving their bottom line. 9. Let's talk about millennials. Lots of companies seem to be having some difficulty getting millennial employees involved productively in their culture and workforce. What are your thoughts on overcoming this challenge, and what does it say about the safety profession going forward? We're excited about the contributions millennials can make to the safety profession as they bring a productive energy and perspective that's different than other generations. It's so important to embrace diversity because the range of ideas and input can lead to valuable results. Every generation needs the same things to grow professionally—a great network of people, dependable resources to enhance your knowledge, and opportunities to grow as a leader. ASSE has a Young Professionals Common Interest Group that is highly energized and conducts "Lunch and Learn" virtual events that further the skills of millennials, which now outnumber baby boomers in the workplace. ASSE also hosts an annual Future Safety Leaders Conference for student members, helping them obtain the skills they need to succeed in their safety careers. Because we believe millennials have a lot to offer workplace safety culture, all ASSE student members receive a free year of full membership as a graduation gift. This helps them stay connected to ASSE and utilize the resources that can make a significant difference in developing their careers. 10. OSHA and EPA are very quiet as we're well into year two of the Trump Administration, and I'm not seeing any urgency on Capitol Hill even to confirm the president's nominee to lead OSHA. What's your view on the delay of proposed regulations and the proposed agency budget cuts that we've seen from this administration so far? Developments on Capitol Hill can be challenging to forecast in the current political climate. ASSE continues to advocate for adequate funding for the agencies that keep our nation's workforce safe. We also support occupational safety and health policy that is data-driven and practitioner-based. Looking ahead to the FY19 budget, ASSE is particularly concerned by the proposed elimination of OSHA's Susan Harwood grants that provide training on workplace safety and health hazards, responsibilities, and rights; the drastic cuts at the National Institute for Occupational Safety and Health (NIOSH); and the proposed relocation of NIOSH into the National Institutes of Health. Also troubling is the proposed elimination of the Chemical Safety Board (CSB), which has played a critical role in keeping American workers safe for more than 20 years by conducting root-cause investigations of industrial chemical incidents at fixed facilities. As a former CSB board member, I can attest to the unique work this agency performs, and how much value it provides for its minimal impact on the budget.